When we rearrange the letters of בראשית, “in the Beginning”, we get ברית אש, meaning “covenant of fire”. ברית, covenant, is the reference to a Tzadik, which is Sefira of Yessod and the connection between Malchut, where the light is concealed and the upper levels of Light. ברית is numerically 612 which is one short of 613, the total number of precepts in the Torah. This missing one is Awe and Love to the Creator because only with that we can make the connection to the light that we are looking for. 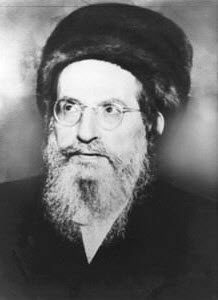 Rabbi Abraham Azulai in his book ‘Chessed L’Avraham’ tells us that on Shabbat, Jerusalem as Malchut, is at a spiritual point with connection to the level of Yessod above. This connection is called the “Palace of the Sapphire”, “היכל לבנת הספיר”. Jerusalem is the Middle Point of creation (see big bang theory or the writing of the Ari, the book ‘Tree of Life’) and on Shabbat it realigns with the opening in the spiritual dimension to receive a ‘pulse’ of light. This ‘pulse’ keeps the ‘heart beat of life’ go on. The Awe and Love, אהבה equal to 13, connect us as one, אחד, also equal to 13. When we multiply the letters of אחד as 1x8x4 we get 32 (Thank you Erez), which is heart, לב. It connects us to the 32 paths of life that were opened at the moment of Creation. The Torah reading on Shabbat elevates us to the higher level of Binah to receive that light for the whole week.